The Bayswater Lacrosse Club was founded in 1939, and has been operating continuously since our inaugural day, evolving into a family friendly club. We fields several teams in both Men's and Women's lacrosse across all grades. Throughout our rich history we have many successes with premierships in most grades. In the Premier Men's division we have won Six Premierships, the latest two of which have come in 2012 and 2013. 2014 was a particularly good year for the Club with a season of growth in all junior grade teams with the Premier Men's division winning State League. 2015 was a year of growth for our club, with Junior numbers growing across the grades and teams. In 2016 we will continue to develop our junior players, and our goals include representation in finals and premierships. 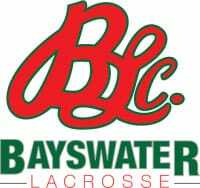 In 2016 we are looking to adopt Club Coaching Philosophy which we believe will make the Bayswater Lacrosse Club stronger in the future. All of the on-field success has been supported by great community spirit and tireless volunteers that have driven the club to where it is today. At our home ground of Halliday Park, we have invested a lot of blood, sweat and tears as well as money into our club house and facilities. Our efforts, together with the fantastic support of the City of Bayswater, have resulted in the best Lacrosse facilities in Australia, offering a modern function room and bar, excellent change rooms, a floodlit field and a well appointed weight room for our members use. Following the latest renovation in 2012, we are now fully accessible and have also improved facilities for spectators who come along to the lacrosse games to watch. We are also the only club in Western Australia that has year round access to our facilities which is a bonus for all of our members and supporters. We look forward to continuing into the future; further developing our reputation as the premier Lacrosse Club in Western Australia.